Every Organization today feels the heat of common issues floating across the industry. Attrition, History, People Management, Data Management among other hot and priority issues. An ERP implementation is the logical answer to a lot of these issues as it provides a centralized database, a common platform for the entire organization, for record-tracking and maintains the history of everything. This enables the management to fast track their decision making based on precise data and accurate reports that come through a set of standardized operational procedures. Application of ERP systems ideally increases business revenue by at least 8-13% in the mass manufacturing sector and 6-10% in other manufacturing sectors. Enterprise Resource Planning or ERP software is a suite of applications that helps to manage core business processes, such as Purchasing, Inventory, Sales, Accounting, Human Resource, Customer Support, and CRM. ERP software is an integrated system as opposed to individual software designed specifically to a particular business process. By using a centralized database, ERP allows businesses to collect, store, and visualize data from various business units. It can also be used to automate back-office tasks and redefine cross-departmental workflows. ERP system when optimized, results in higher efficiency and lower business costs, effectively increasing profitability. 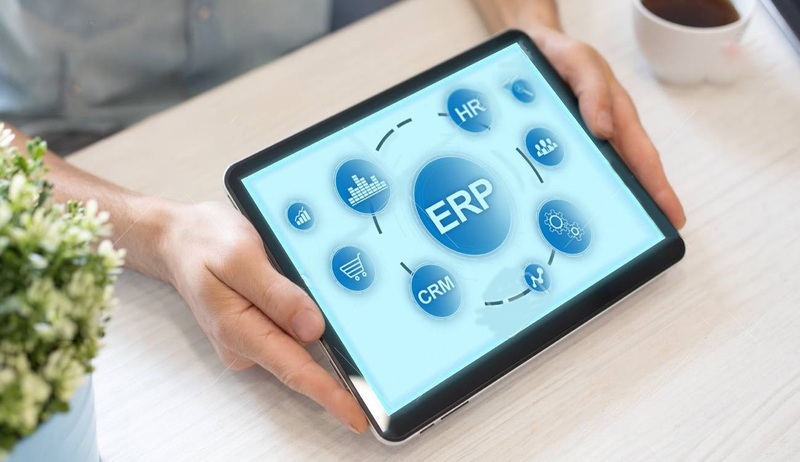 The objective of ERP software is to streamline business processes, increase efficiency, and to promote a unique culture of collaboration in the organization. This helps an organization in minimizing costs and increasing productivity; leading to total business improvement which ultimately leads to a better bottom line. Processes such as accounting, sales, production and inventory get integrated in one ERP system. This makes it easier and effortless to collect and access data across the organization, streamlining inter-departmental workflows. Likewise, ERP software automates daily tasks, e.g. entering data manually or generating reports. Repetitive/Non-value-adding processes are eliminated, making teams to focus on their core deliverables. For instance, accounting can instantly access the week’s sales data without chasing the sales director. ERP systems also provide managers and key stakeholders with a quick view of how their department is performing. Dashboards allow decision-makers to glance at key performance indicators across the organization. If they want to investigate more, managers can drill down to details in a few clicks. Enterprise Software breaks down walls within departments. Data is integrated and a process-superhighway links local workstations together. This setup allows employees that used to operate in silos to easily collaborate with other teams inside the ERP software. Offshore business units are now in close proximity of their Headquarters. A culture of collaboration drives innovation and team play and, in general, makes businesses more efficient and competitive. A company can also leverage ERP software to cut down costs. When business processes are streamlined and key metrics are closely monitored, delays and breakdowns can be anticipated and its impact better managed. Manufacturing and distribution are especially susceptible to disruption. But the ERP manufacturing system allows production, engineering, customer service and other business units to work closely together using real-time data, resolving sudden problems faster. Operating costs are kept within budget. The ERP system has safety and restriction controls to guard against data breaches. Having a single data warehouse means access points are tightly monitored and security is concentrated. Similarly, user permission rules give the admin the flexibility to lock sensitive data without limiting user access to other information. Admin can also quickly deactivate access of terminated employees and grant permission to new ones. ERP software also displays user activities, so admin can easily spot unauthorized actions or suspicious activity patterns in the system.